The Dodge Charger is a great family car - safe and plenty of room. I love my car. It is powerful and a solidly built car. I feel very safe in this car. We've had few problems with the car and it is 12 years old. The only drawback would be that the car is low to the ground. Engine performance has been great and upkeep minimal. The only real issue I have had was with the sunroof. The drains get clogged so I had to have them blown out. In order to do that the roof liner had to be dropped down so they could access the drain holes, which added to the cost. I am not pleased with the local Dodge dealership. When I needed to replace my remote they refused to give me the codes. I was told that I had to purchase my new remotes through them and have them program them. Not true. It loses Its value ridiculously, even in perfect condition with low miles. I loved my car when I purchased it but It's getting to be nothing but problems now. I've had problems with it overheating but not registering hot on the temp gauge and replaced the thermostat multiple times. It doesn't get very good gas mileage. The power steering has been going out recently. Replacement parts are pretty high priced even though the vehicle is 12 years old. It's a comfortable ride in long and short trips and with all the extra options is a nice looking car but It's time to trade it in on something more fuel efficient and less expensive to fix! The Dodge charger is a great vehicle and should be driven by more. I love my 06 Dodge charger, it handles smooth, looks great, and does not kill me on gas. The only complaint that I would have for this vehicle however is that it is rear wheel drive and does not do great in the snow. however I own a 2014 Dodge charger and it does to great in the snow. So I feel it's all in the year that you get with this car. When my family bought this car they got 2 add-ons of a spoiler and mud flaps which I really think helped add to the longevity of the car. 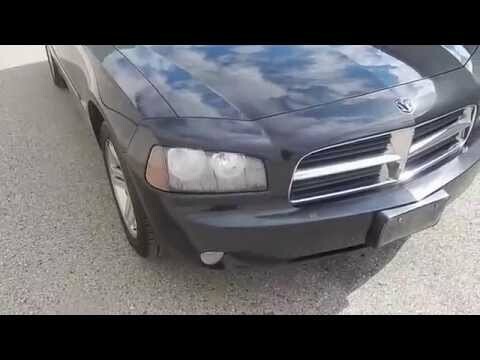 2006-2010 Used Dodge Charger SE, SXT, R/T, SRT8 Buying Guide - Should you buy this car?